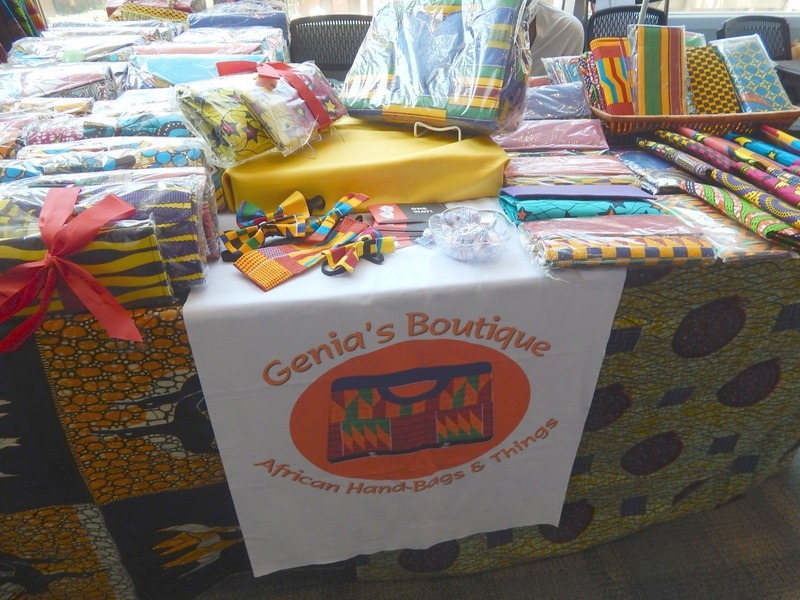 I decided a few days before that I was going to take steps to turn an idea that I had into a business. I had an idea, I had a name, I had a logo, I just didn't have a business plan. So, I called Temple University's Small Business Center which is a free resource to Philadelphians who wish to embark on entrepreneurship. I was so very excited but also scared to go any further. I just wasn't sure if now was the right time to jump in. 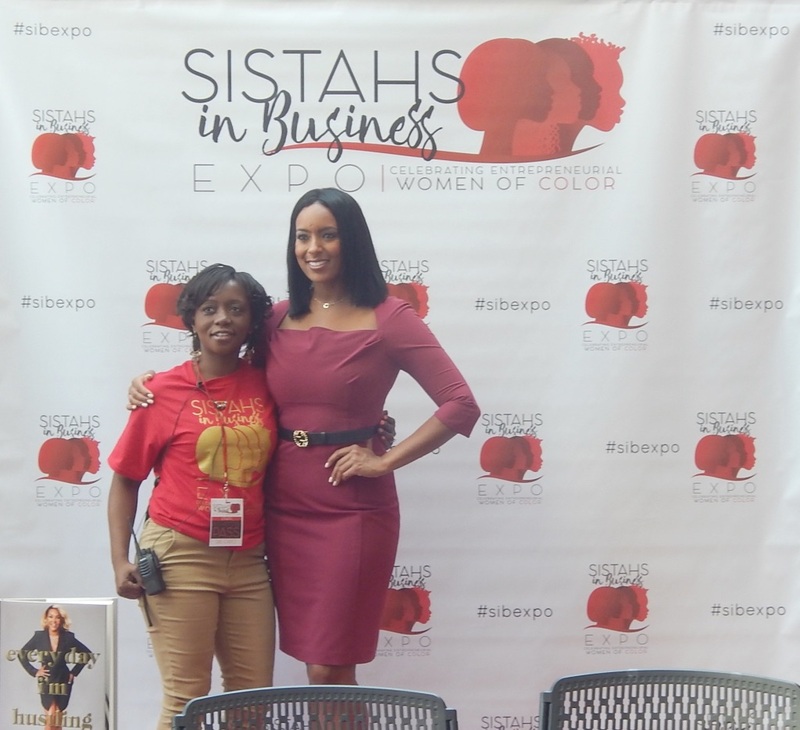 When I got the opportunity to cover Sistah's in Business Expo, I hoped that it would help empower me to finish my business plan and take the necessary steps to launch within the next couple of months. Turns out, the expo ended up being everything I was hoping it would be plus more. Actress, Producer, and Author, Vivica Fox, motivated me during her Q & A so much that I went home the next day with my sister Rafiah who also attended, wrote out a two year plan for my life and then created a vision board. Throughout the day, I was not only motivated by the speakers who talked at length about their struggles and their triumphs, I basked in the glow of the Black owned businesses that permeated the room. If I wasn't being disciplined, I could have easily dropped a couple hundred dollars because there were so many awesome products that I wanted to purchase. My most unexpected purchase came in the form of some flavorful vegan cupcakes. My sister has been vegan for the past couple of months and she's trying to make me a believer. After her hash and the cupcakes I tried from The Uptown Vegan (I ended up buying FOUR and eating them all), she might actually be pulling me over to the dark side. 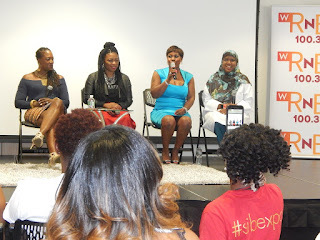 In any case, I took so many notes and I wanted to share them with all of you because...as one sister stated at the panel, we have to be willing to share and uplift each other so we can all win! 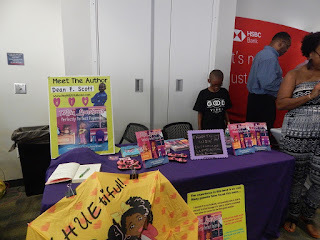 Take a look below at some pictures and my notes from the event. Also, let me know in the comments if you've been thinking of starting a business! What's holding you back? 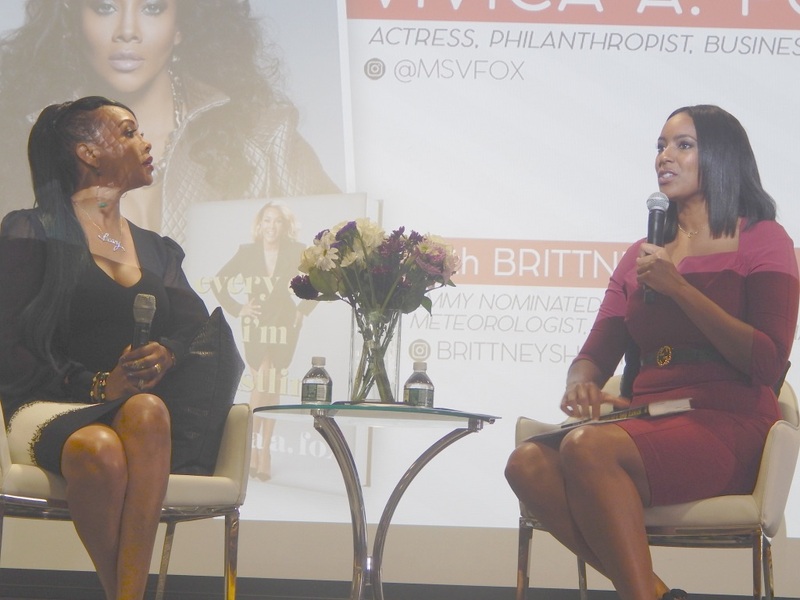 Brittney Shipp, a Philadelphia Meteorologist kicks off the day with an awesome Vivica Fox Interview. 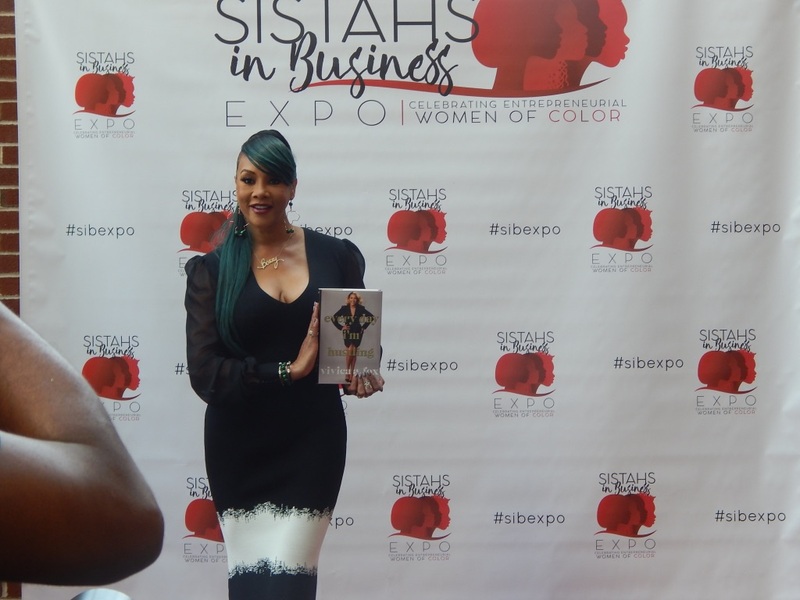 Vivica talks about her book “Everyday I’m Hustling: Motivational Memoirs” and why she wrote it in the first place. On Branching Out of Acting: The more that you learn about the business behind the show, the longer your longevity will be. Understand exactly what you’re signing up for and how much you should benefit from what your name is bringing to their brand. 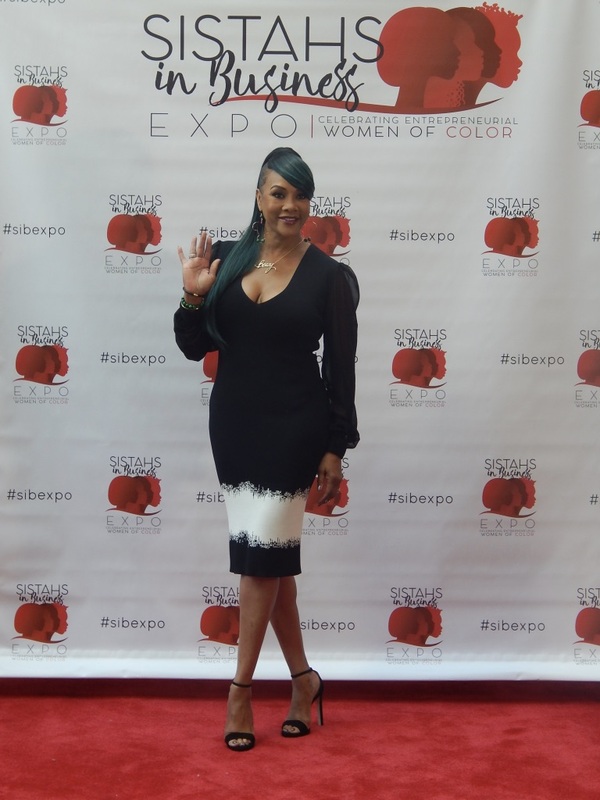 Vivica also shared that when she first announced she was doing a hair collection, so many people said horrible things on line. Market Saturation: Brittney asked, "How do you separate yourself even though the market is saturated?" Sell Lifestyle! Get involved in marketing. Pay attention to how you show your product. Display is everything. Be around other successful people! Don’t give up, keep knocking at the door. Vivica On Why She Does Lifetime Movies: Every year she produces and stars in two to three films for Lifetime. 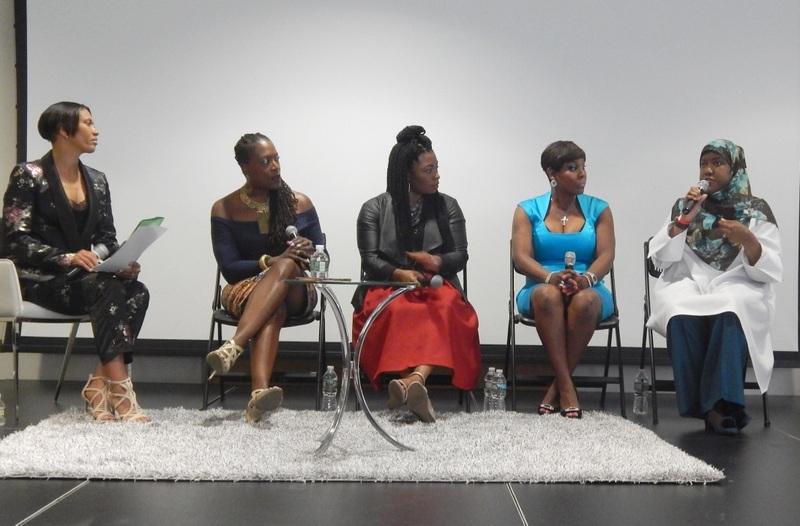 This network caters to women and her audience is women. She's able to produce which means another paycheck for her. Major Key: Being on time and being professional! 1. Learn to get out of your own way. 2. Show up with an attitude of gratitude/first to work and the last to leave. 3. Don’t have a problem investing in yourself. Get your financial resources together to invest in your self. When you get an opportunity, give it 100%. Final Key: Don’t trust anybody, ask them for their resume, credentials, who have you worked with recently. Were they on time? Were they successful? Were they good to work with? Do your homework on them as well. Let them know that you’re checking them off. Have no issues with letting them go. Next up was the "Super Power Panel" which was hosted by Jean Baylor. I was most excited for this panel because Aliyah Khabir, Publicist, Author, and Community stalwart was one of the four women chosen to speak. Once again, I found myself sitting on the floor, legs crossed Native style, taking notes. Below are some of the gems that I wrote down from each one! Jewel Dropped: Get a basic business entrepreneurial concepts book, do research, and let google be your friend. Jewels Dropped: In order to strike balance between work and private life, you need to prioritize what's important. In order for her to gain a mentor, she inboxed an Interior Designer professionally and asked if she could speak with her for 30 minutes about their craft. Then, every month for an hour, she'd call and ask her questions. She underscored the value of mentorship. Jewels Dropped: Break the glass ceiling, then come back and sweep up the class so that no other woman gets cut on the way on the way up. Don't be selfish. Keep your business page professional. She relayed a story about her friend who said she wanted to take a semester off. She told her that if she did, she would have to cut the friendship because she doesn't keep those who don't finish what they start in her circle. Implement a 2 year plan and a 5 year plan. Don't make excuses. Let Google and Youtube be your friend. Jewels Dropped: Time management. Don't be the person who starts something but never finishes it. Understand that time management is important. Take a class. Find someone who is going to mentor you through the development of your business. Your mentor doesn't always have to look like you. Not one Black woman helped her break through the ranks. Instead, it was a Jewish man that helped her move to the next level when she worked in corporate America. If anyone wants to start their own beauty store, she, along with her husband will sit with you and give you information. Jewels Dropped: Cathy got pregnant when she was younger and decided to allow that event to change her life for the better. She empathically stated, "babies aren't mistakes, they're an opportunity to get it right again". 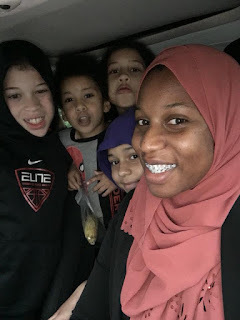 Be sure to take your children to work with you so that they can understand your business and take it over one day. That's why her son not only has taken over her company, but he's added to it's portfolio because he learned the business. In addition, he obtained the education to take it to the next level. After Cathy spoke, my sister and I had to leave so we could eat. Unfortunately, we missed the last thirty minutes of the event but what we did witness stuck with us for the rest of the weekend. And, of course, thanks to Vivica's advice, we completed a vision board for our two to three year plan.